Microsoft is launching a new product into private beta on Tuesday morning with the aim of keeping friends and family in touch during emergencies. The idea for product, called Microsoft Vine, came to Microsoft GM Public Safety Initiatives Tammy Savage four and half years ago during Hurricane Katrina. Development started a year and a half ago. It will gather local news (you tell it where you live or are at the moment). News items are gathered from 20,000 local and national news sources, plus public safety announcements from the United States National Oceanic and Atmospheric Administration (NOAA). The tool shows you news items on a local map. You can choose to filter out certain types of news (sports, entertainment, etc.). 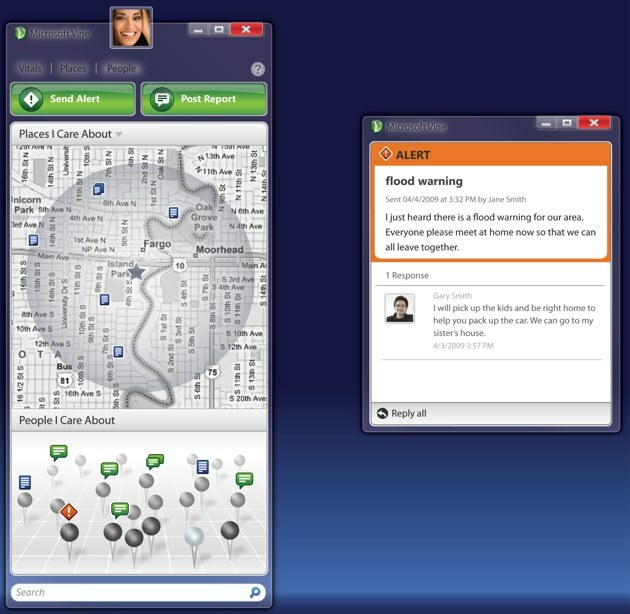 Users view and post alerts to some or all friends/family. These can be quick messages to family in the case of emergency, or a church or sports club for meetings or practice. 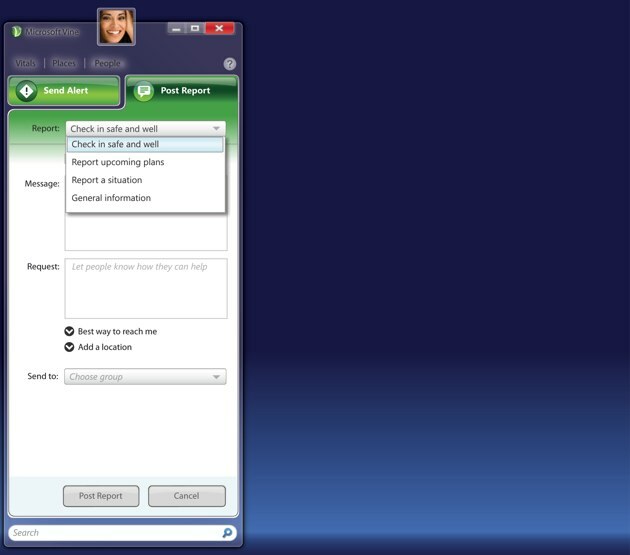 Each person defines how they want to receive alerts – the client, email and/or text message. 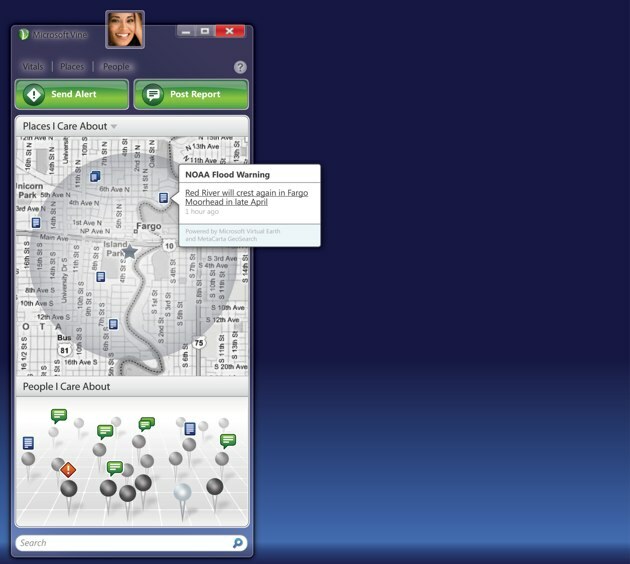 Users can also post more lengthy reports which are sent to the dashboards of those you share it with. There are four types of reports at launch: check in safe and well, report upcoming plans, report a situation or general information. The product is very early and Microsoft is stressing that this is an early beta, designed to get feedback from a small number of users. Eventually the client will have some limited functionality even when offline (which is a likely scenario in a crisis), and new interfaces will be built on other platforms like Mac and Silverlight. People tend to like stuff like this, and it may eventually turn into the place that you keep your true friends list – the people you absolutely want to be in touch with when things go badly.